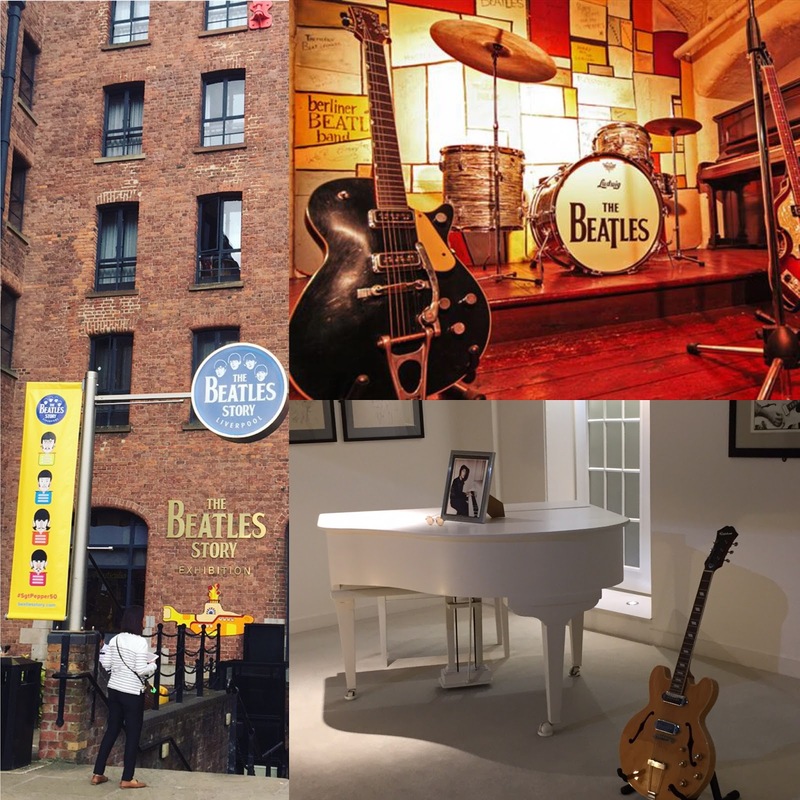 The Beatles Story at the Albert Dock is the ultimate sightseeing destination for fans of the Fab Four from all over the globe. With the greatest permanent exhibition anywhere in the world dedicated to the life and times of The Four Lads Who Shook The World, it’s a must see for visitors to Liverpool and locals alike. So as part of my ‘Who Do You Think You Are’ history trip with my Dad, it made sense to go and visit The Beatles Story to find out more about the group who played the soundtrack to his teenage years growing up in Liverpool in the 1960s. We arrived at the Albert Dock and made our way to The Beatles Story underground entrance. There’s an audio guide on headphones for everyone on arrival, which is available in different languages (handy for the Japanese visitors and all those French kids!) but I chose my own personal guide – my Dad! Now, between you and me, my favourite Beatles era is their formative years and not the later stuff. If I had a time machine, it’d be this era that I’d want to go back to and experience first-hand. Directly influenced by my Mum and Dad, who first saw the Beatles live in 1961, it’s these early rock n roll years that I’m most keen on – and The Beatles Story did not disappoint. 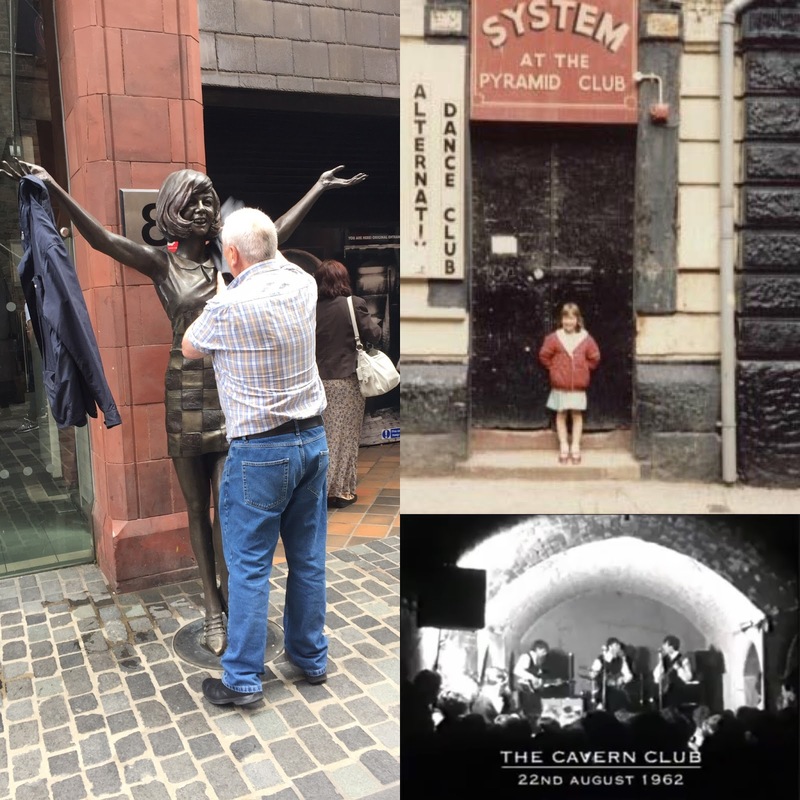 I’d always grown up knowing that the original underground venues like the Civil Service Club, the Iron Door and The Cavern on Mathew Street were no longer there, but even my own nights out dancing and drinking in other cellar pubs and clubs had never quite fit the image in my minds eye of my parents’ stories or the black and white footage of the real Cavern. The recreation of The Cavern at The Beatles Story was really good – I got a real feel for the original, just how my Dad had always described it. He added extra details like where my mum and her friends would sit on a night out, how Cilla Black would work in the ‘Cloaky’ and what she was like, and the smell of the urinals that would always overflow at the back of the venue – thankfully that isn’t included in the admission price! It was at the airport that my Dad would sometimes find big stars like the Beatles sitting around in his office away from fans and the crowds of passengers in the regular departure lounges. This allowed him to take lots of photographs and then get them signed by them on their future visits through the airport. Not a bad day’s work: My dad in the foreground (left) with his camera, having forged his own press pass to get onto the tarmac, and trying to avoid his boss who is looking for him! He got lots of signed photos for my mum (I couldn’t get my hands on any for the purposes of this blog – she said she’s about 75% certain she hasn’t thrown them out, but couldn’t be sure without going in the loft to have a look and she couldn’t be arsed) and for friends and family, and he also sold some to local music magazine, Merseybeat. My Dad had described perfectly the look and smell of their offices, from the old-fashioned frosted glass doors like in old detective movies, to the ashtrays on the desks. Despite the absence of fag ash, I was delighted to come across the recreation of the Merseybeat office in The Beatles Story. It was like all my Dad’s stories coming to life. Fans of The Beatles’ later work and solo careers will love all of the memorabilia, photographs, and artwork there is to offer, John Lennon’s spectacular grand piano, and footage from Shea Stadium to India, followed by the Fab4 Café and t-shirts galore in the gift shop. But for me, the early 60s and the musical snapshot of life when my Dad was growing up and meeting my Mum was magical. If you’re visiting Liverpool or if you’re a local who’s never been before, check out The Beatles Story online where you can book your tickets and plan your visit. Thanks ever so much to Dave and the Team at The Beatles Story for having my Dad and I along as guests for the day.